If you have not been able to tell by now, I love traveling and being outdoors. (Fun fact, I was a Girl Scout for most of my adolescent life so spent many hours appreciating nature, camping, focusing on sustainability efforts, and of course selling cookies.) 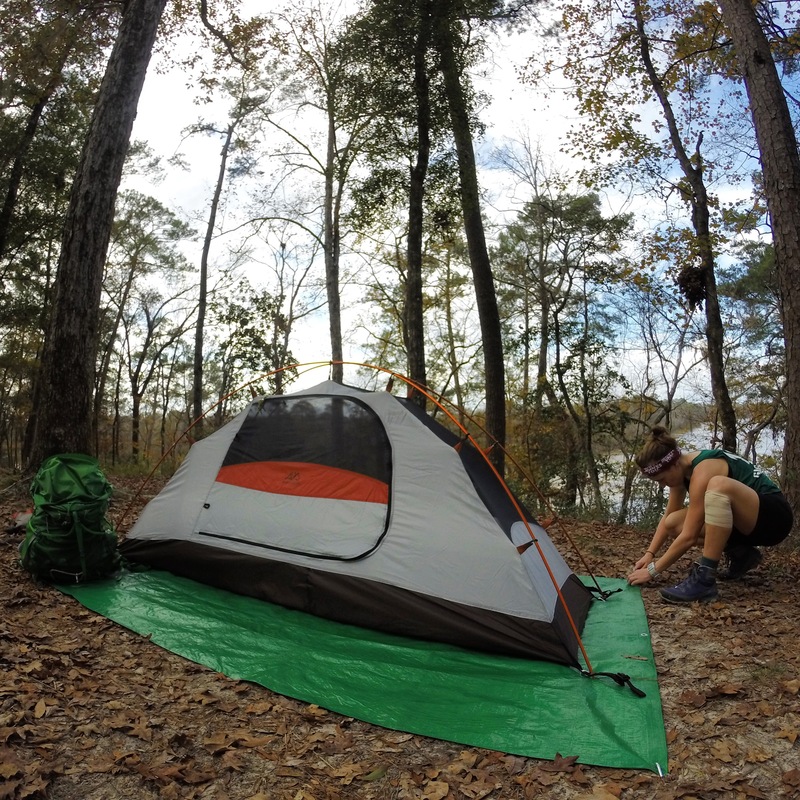 This past Winter break I made the most of it by doing some backpacking here in Florida and in North Georgia. 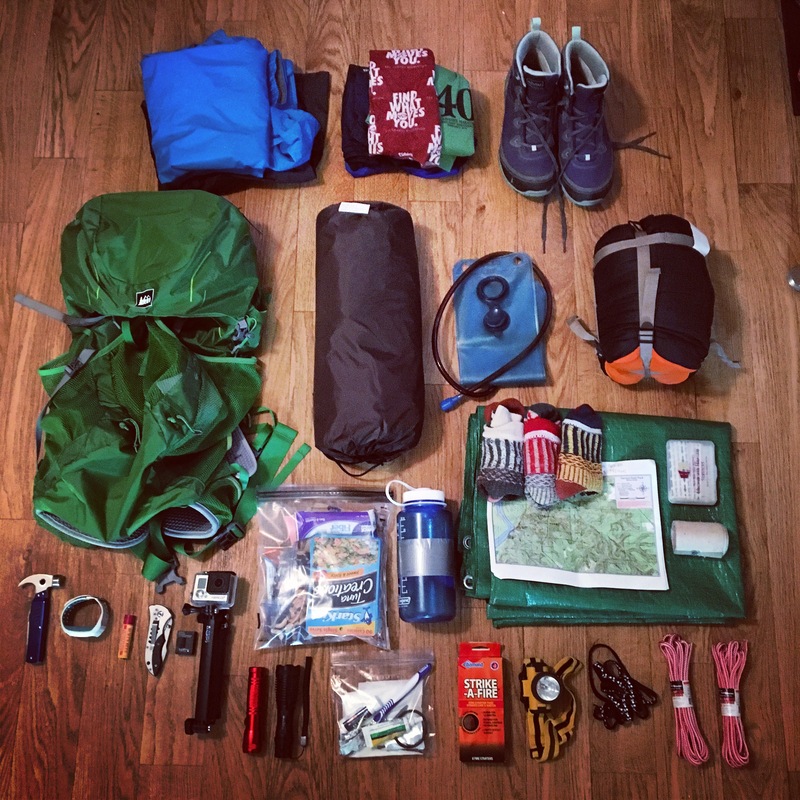 Since I was not planning on going anywhere for Christmas, I decided to spend it doing an overnight hike to test out all my gear for the pre-planned Appalachian Trail (AT) adventure. I heard great things about Torryea State Park about an hour away so decided to give it a try. I packed up my little Honda Fit early on Christmas Day and headed to the Wild (not so) Blue Yonder. Once I checked in with the Ranger, I checked out the map and decided to hike the 6ish mile trail on the west side of the park. I got my backpack and was off. Wanting this to be as close to ‘backpacking’ as it could be, I decided to do the entire hike with my pack then ending at the primitive campsite. The hike was amazing. Half of the time I didn’t even feel like I was in Florida with all the terrain changes – even feeling like I was in the foothills of the Appalachians at times. During this time, Florida had just experienced a lot of rain (this was one of the few under 20% chance of rain days), so there was flooding in part of the trails which made it more of an adventure. As I finally made my way to the campsite overlooking the river, I set up my tent and got ready for an evening of beautiful skys, coyote howls, and an overall introspective alone time. I would be lying if I didn’t say that I was scared to death at first of being alone, in the woods, with no neighbors, my car a mile away, and tons of animal noises surrounding me. After a couple of hours of irrational fears, I finally became at peace with the experience and saw it as so much more. In the morning I woke up early enough to enjoy the sunrise (full disclosure I actually never really slept due to the fact I failed to get a sleeping pad – something I ordered at 1am on my phone, thanks amazon.com), and slowly packed up my stuff then hiked back to my car. My friend Allie (who was also a Girl Scout forever) and I had been planning a hiking trip for MONTHS and were counting down the days. It was finally here. We met up in Atlanta, dropped of her car at my friends place (thanks, Dustin! ), and rode up to the mountains. Now here is were I’m going to focus just on our AT adventures – but we also stayed in Helen for a night, saw a Cabbage Patch Doll being born, sampled some delicious wine, met some awesome people during our stay at a Hiker Hostel, and explored a cool waterfall that was half way named after me. 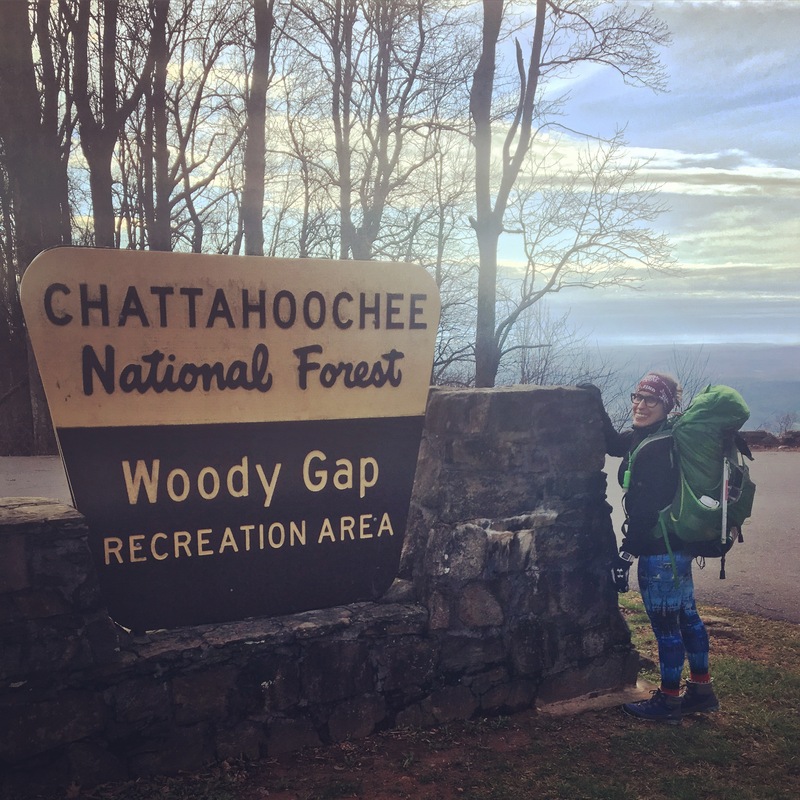 We decided to start our hike at Woody Gap as per a hiker’s suggestion – it provided a place for my car to be safe overnight and he said it had awe-inspiring views. We parked the car, grabbed all our gear, found our first trail marker (they are all white rectangles) and were off! This hike was everything I wanted and more. We had to walk over mountain streams, had mountain views for days, ate lunch on an overlook, and ended up on the top of Blood Mountain. 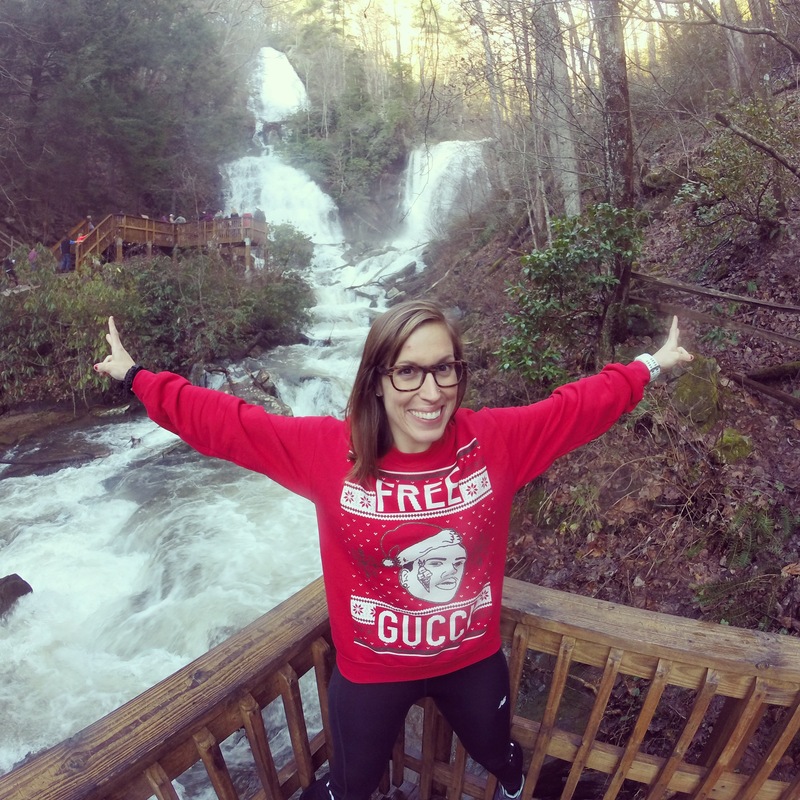 Though our time spent in GA was plagued by a lot of rain (which made us not spend as much time on the trail as anticipated), the days we were able to hike was perfect weather (albeit the cold temperatures to this Florida woman). After making it up the somewhat grueling switchbacks to Blood Mountain, we started the back down the trail, ending up at Woods Hole Shelter where we met up with a woman we became friends at the Hiker Hostel AND two people from Florida! Our night was full of stories, laughter, and an attempt to create a fire with really high winds. Spoiler: we failed. We all got ready for bed at 6pm since the sun had set, huddled in our sleeping bags since the temperature was dipping to the 20s that evening. I fell asleep listening to the eerie sounds of the wind whipping and woke up in 2016. We said goodbye to our new friends the next morning and ventured along the trail (I had on 2 pairs of pants, 2 tops, 1 jacket, gloves, and a beanie). Our goal was to spend the next night on the trail but decided against this as the temperatures were dropping into the teens and the wind was going to be just as bad that evening but we would not have shelter. In all we hiked about 20 miles on the trail. Let’s just say that doing a thru hike has always been on my bucket list but now the thirst is ever greater. Now to find 4-6 months of free time to venture over 2,100 miles into the wild.